These high-quality painting knives are made of black anodized stainless steel that adds both durability and longevity. The ergonomic handle features handsome beechwood in a comfortable shape. Each blade is tempered and ground by hand to assure consistent flexibility and quality. 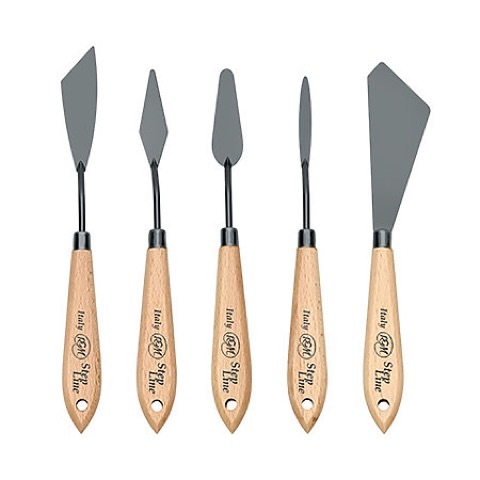 The Step Line Black Knives are the perfect tool for outdoor plein air painting as the black metal does not reflect the glare of intense sunlight.